Randall Lester James, beloved husband, father, grandfather, brother, and uncle passed away peacefully from complications of leukemia on August 29, 2018. Randall was born to John Powell and Evelyn Wilson James on November 2, 1946 in Rocky Mount, North Carolina. He graduated from Rocky Mount Senior High in 1965, serving as the yearbook editor-in-chief while there. Randall continued his education at the University of North Carolina at Chapel Hill and later also completed studies through the University of Louisville and Rollins College. Randall worked in his family-owned business, Coastal Texaco and Wrecker, served in the United States Air Force, and was a member of the Rocky Mount Police Department. On June 25, 1967, he married Irma Rowe, and they were joyously married for 51 years. Randall and Irma adopted their only child, Lori Ann James (Shipley) in 1970. The family moved to Orlando in May of 1974, and he began his career with the Orlando Police Department. Randall eventually retired with the rank of Lieutenant after earning numerous department citations and awards with OPD including the Award of Merit for saving a baby’s life. Beginning in 1977, Randall accepted an additional role with the City of Orlando in the Mayor’s Office where he served as administrative aide and later chief of staff to Mayor Carl T. Langford, Mayor Bill Frederick, and Mayor Glenda Hood. At his retirement in 1997, the Orlando City Council voted him as Orlando’s first Chief of Staff Emeritus. In addition to his service to the City of Orlando, Randall also served on the Board of Directors for the TriCounty League of Cities and was later given a lifetime membership in that organization. He was also an alumnus of Leadership Orlando, Leadership Central Florida, and Leadership Florida. He served on numerous boards, commissions, and committees including the boards of Goodwill Industries, the Salvation Army, the Christian Endowment Committee, the Orlando Mayors’ Prayer Breakfast Committee, the Volunteer Center of Central Florida, the Central Florida Board of Reference for Belhaven College, the Sea World Sunrise Service Committee, and the Orlando Police Pension Board where he served as a trustee for 24 years. In recent years, he was also a member of the Committee of One Hundred of Orange County. Since 1987, Randall was deeply devoted to service at First Baptist Church or Orlando (FBC/O) where he taught Sunday School, Discipleship classes, and Spiritual Maturity Class. He also served as an usher, a deacon, chairman of the Personnel Committee, a member of the Deacon Selection Committee, and as an elder. In 1997, God called Randall into full-time Christian service as President of the First Orlando Foundation and as an ordained pastor at FBC/O. He was the 1st Vice Chairman of FamilyNet Television, a ministry of the North American Mission Board of the Southern Baptist Convention. In 2003, Randall was elected by the 16.5 million-member Southern Baptist Convention to its Executive Committee where he chaired the by-laws workgroup. In 2001 as an Executive on Loan from First Baptist of Orlando, Randall served as the first Chief of Staff for Orange County Mayor Rich Crotty. He would later write about his experiences as a public servant in Orlando in a book entitled Morphing Orlando into a World-Class City. 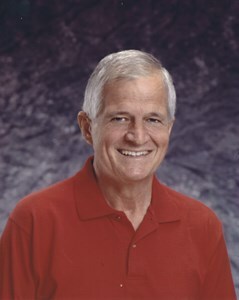 Randall received numerous awards and honors including the Orlando Jaycees Service in Government Award, the TriCounty League of Cities Service Award, the 1995 Orlando Community Leader of the Year Award as well as being listed as an Honored Professional in the Nationwide Register’s Who’s Who in Executives and Business. But more than any area in his life of service, Randall’s primary ministry evolved from his experiences with cancer. He was diagnosed in 1988 with colon cancer and after surviving that, he later spent the next 30 years battling numerous cancers including lung cancer, skin cancer, and leukemia. He frequently spoke for the American Cancer Society and had numerous occasions to share his faith with cancer victims and family members who did not have a personal relationship with Jesus Christ. His own experiences with cancer prompted him to have a burden for the lost and to be an aggressive soul winner. His primary Spiritual gifts were Faith, Discernment, and Administration, and he worked hard at being an encourager. His goal was to leave a legacy of loving his wife “like Christ loved the church,” teaching his children and grandchildren to be more like Jesus every day (3 John 4), and completing his own journey on earth by finishing the race strong. Randall was loved by all who knew him, and with his Southern, genuine charm, many have said that he never met a stranger. He was a lifelong fan of NASCAR, especially of Richard Petty, as well as the New York Yankees, and 50s music. His love of watching the moon was well-known, and his family rejoices knowing he is now seeing that orb from a heavenly perspective. His life will be celebrated with a memorial service on Saturday, September 15 at 11:00 am at First Baptist Church/Orlando located at 3000 S. John Young Parkway, Orlando, Florida 32805 with a reception at the church following the service. In lieu of flowers or gifts, the family requests that donations be made to the Randall James Scholarship Fund at The First Academy at 2667 Bruton Boulevard, Orlando, Florida 32805. Add your memories to the guest book of Randall James. Randall was such a devout Christian full of faith, love & hope. He made us feel so welcomed and loved every time we saw & spoke to him. Even though we only knew him for 3 years as neighbors the Lord blessed us tremendously. Dear Irma, Lori, Gene and family, you have our deepest and most sincere sympathies. We will continue to keep you lifted up in our prayers. May God bless you, always. Randall was a true Man of God, who shared the love of Jesus with everyone he interacted with. Randall was one of the most accomplished public servants and servant leaders our city and region have ever had. It was an honor and privilege to serve with him on former Orlando Mayor Glenda Hood's staff. As my first Chief of Staff, he shared his sincere guidance, compassion and extensive knowledge with me as I began my tenure with city government. As I told Randall many times, I will always thank and love him for that and for his love and devotion to Orlando. I am so grateful for his friendship and for his constant prayers for Orlando Mayor Buddy Dyer and his staff through the years. Randall positively impacted my life and the lives of everyone who was fortunate enough to know him. He was one of the most genuine, generous and kind faith leaders I have ever known. He was one-of-a-kind and he will always be loved and missed. His life epitomizes what it means to be a public servant and a faith leader. Randall was a friend and inspiration to me. We served together on various committees at First Baptist Church. He was a humble man who never met a stranger. He always had a way of making you think that you were important. I can remember sitting in the First Orlando Foundation office with him as together we looked through albums of pictures he had acquired of people he had met while working as aid to the Orlando mayors. Their was a story behind each one. A fascinating glimpse of Randall’s life before his ministry. I will miss Randall but I know that I will see him again, and look forward to that glorious reunion. So sorry for your loss but so thankful to have been a neighbor of Mr. James! Whenever I would see Mr. James he had that glow of Christ’s light. What a great example he showed all of us in our neighborhood. Whenever we would talk with him we sure felt better afterwards. Mrs. Irma and family, please accept our condolences. We will certainly miss the smiling face of Mr. James on Sunday mornings. Mrs. Irma we pray for peace and comfort as you go through these hard times. Let us live so that we will see him again in glory. P.S. Mrs. Irma we miss you at church. Please let us know if we can be of help to you in any way. I will remember Randall's smile, I never saw him frown. We pray your sweet memories will be a source of strength for you during these challenging days. God bless and may His peace surround your family. Although the years have passed by since we have had been in young married class together. You all have been special to our family. Several years ago I called Randall to help us through a difficult time, and he was there to pray, mentor and encourage Joan and I. He was my hero in the faith, a true servant of Jesus. I consider Randall one of my most influential mentors. I'll be forever grateful for the time he spent listening, encouraging, coaching, and inspiring me during pivotal times in my life and ministry. Even today, I find myself not only asking, "what would Jesus do," but often, "what would Randall James do?" With love and prayers to the family, please know of my love and utmost respect for the man of God, Randall James. I am very honored to be able to say that Randall James is one my first cousins. His mother and my mother were sisters. Even though I was 4 years older than him I always felt inferior to him because he was clearly such a wonderful, classy, high-character man. That doesn't mean that I am a bad person, but anyone who met Randall immediately realized that he was a very special person. I enjoyed being in his company talking about life, NASCAR and law enforcement. I think I can take credit for getting him seriously interested in police work. During an early 1970s visit to Rocky Mount we talked a lot about my experiences as a Phoenix police officer. What I can't take credit for is giving him such great genes and turning him into such a fantastic person. That credit goes to his parents, Uncle John and Aunt Evelyn. Randall's high IQ was demonstrated by choosing Irma as his wife and Lori as his daughter. They, like Randall, are very special people. I will miss Randall. The world will miss Randall. I am truly saddened by your lost. I may not know you personally but after reading this obituary, your dear loved one must have been a wonderful person. To Irma: Thank you for letting us enjoy a meaningful bit of your soulmate's precious time on earth. Randall was so devoted to his family and friends yet true to himself. I met Randall when he was Mayor Carl Langford's aide (and unofficial Chief of Staff). I admit I thought: "This guy is too good to be real". Later, when I worked with him, up close and personal, when I was Press Secretary to Mayor Bill Frederick, I realized that Randall was "as advertised", a good and decent man in the very best sense of the word. Not that he didn't have a heck-raising streak in him. Like when he gave a visiting Arab potentate a fast ride in the official "Mayor-mobile" late one night on a deserted runway at OIA - red and blue lights and siren blazing, because the visiting VIP said he would exchange the thrill ride for a inside his big, private jet filled with chests of jewels. God bless you Irma and family for sharing Randall with us. See you for the next ride, Randall. We were greatly saddened to learn of Randall's passing. He was such an inspirational teacher and friend to so many. Now his rewards in Glory have begun. I never sawRandall but what he had a big welcoming smile. He was the epitome of a gentleman. Many times I saw him when I knew he wasn't feeling well, but his demeanor never changed. I believe my fondest memories of him will always be of him baptizing new believers. Pure joy showed on his face doing this Service for his King. Randall, I know you are with Jesus, and will still joyfully beam as new believers are baptized into His service. God Bless You, and I know he has. Randall will be missed by many, many people in many varied occupations. Knowing Randall and his family has been such a blessing to me and my family. He had such a passion for the gospel and wanted everyone to know his Lord. What an inspiration and example he has been. I’m praying for comfort for the family but I know they are comforted that they will see him again without the cancer struggles and pain. I am so sorry for your loss Irma! I know all too well this sorrow and pain. Just the other day I found a card in Michael’s Bible from RJ- it was so sweet and encouraging so he kept it. Prayers for you and the family during this time and the days moving forward. I have very fond memories of Randall in high school. He was always so polite and such a gentle soul. Condolences to his family. Randall was a great guy! In high school, I knew him to be a a real solid and dependable person, admired and respected by all. I am proud to have known him for such a short time. My prayers for comfort and peace go out for his friends and family. My prayers go out to all of Randall's family. We started first grade together and later graduated together. He was always the nicest, kindest and caring boy/man that I have ever known. It was so good seeing him at our last reunion in April of this year. He will be missed by everyone that knew him and especially all the members of the Class of 1965. Many, many years ago God allowed Randall, Irma and I to cross paths. Irma and I as far back as VBS registration the old fashion way. This encounter started a journey of friendship and commitment to pray for each other. I think what I will miss most is the way he always greeted me with a big smile. Randall had a unique love for people, his presence caused my soul to be comforted. Every time we saw each other we both would always ask “how can I pray for you?” His ministry was about people. I miss you dear friend. My signed copy of Morphing Orlando into a World – Class City with its personal inscription, will be a treasure I will hold near and dear to my heart. To you Irma, thanks you for showing us the role of a committed faithful Christian wife. We have watched you clothed with dignity and strength. You are a special gift from God and I love you so much! I first met Randall when he was a new patrol officer. I was working at Rosie O'Grady's (aka Church Street Station). Randall was working in uniform off duty one Fri night. As I stepped outside I saw him trying to deal with a young "lady" who was quite intoxicated. She was screaming every profanity know to man at him. Randall, such an incredible southern gentleman, had such a shocked look on his face and said "Now ma'am...you don't mean that." She let loose again and in that wonderful southern accent he said "Ma'am, I KNOW you really don't mean that. Your mama would be so ashamed." Don't think the poor guy quite knew what to do with her. I had to go back to work so don't know what the outcome was. Years later I worked with him on Mayor Frederick's staff. One day I was making coffee in the small kitchen adjacent to the Mayor's Office and I managed to knock over a glass holding ice tea spoons onto a stainless steel counter. The noise was incredible. The voices from the meeting in the Mayors office stopped and Randall came rushing in to ward off an attack. We all laughed...later. Afterward I got to meet Randall James several more times for other officer’s “Going Home Celebrations.” The last time I saw him, he attended the Orlando Police Retirees BBQ. He came bearing gifts of his book, “Morphing Orlando into a Workd Class City”” to give to all the retirees who attended. We were so blessed to have one autographed by him. We had a chance to talk and what a great, sweet powerful but humble man he was. So down to earth but loved by all who were privileged to know him. He touched my life in such a way that I knew I was in the presence of a true Christian and one of God’s special true helpers here on earth. It will always be s great memory. Don’t be sad though. We know he’s in God’s loving hands now. Please accept my condolences for the loss of Randall. It is so difficult to lose a loved one in death. God's word promises there will come a time on earth when there will be no pain, suffering, or death (Revelation 21:2,3). May these promises provide comfort in this time of passing. Randal James was an honorable man. He was a friend to me and a Brother-in-the-law as we worked at serving the citizens of Orlando. I never asked him to be my friend and he never asked me to be his friend however if you met him you were simply friends. This is the way I will always remember him and cherish his memory as one of the better influences in my life. Randall James was a sweet spirit and always knew what to say. His wisdom and encouragement were a blessing to myself and my family, particularly to my son Chase, who he ended up baptizing. He leaves an amazing legacy and will be greatly missed.